Dowth mound is 50 feet high and 200 feet in diameter. sunlight enters the tomb to shine on a decorated stone. 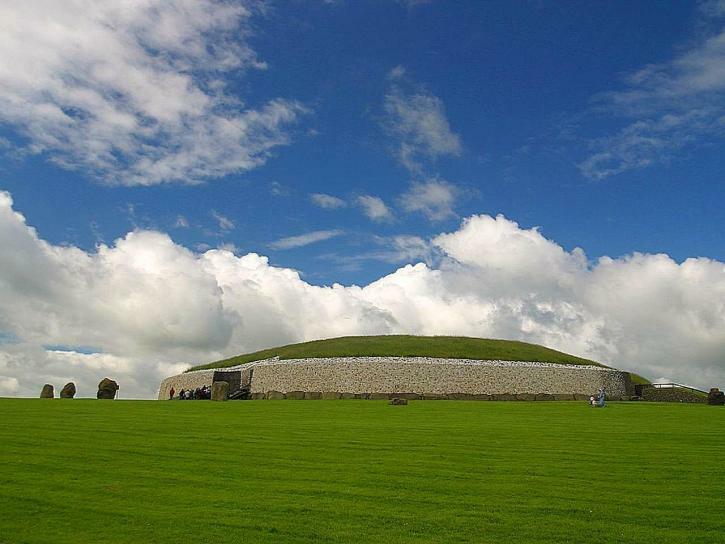 Newgrange is perhaps the most famous of the three mounds. Over 180,000 tons of stone went into building this cairn. The mound is 36 feet high. Inside are many decorated stones. Knowth is the third mound. It is twice the size of Newgrange and 500 years older. It was used for burial right up to Norman times. The chamber is decorated with 250 stones. these mounds with our clients. Don’t miss them on any tours of Ireland.